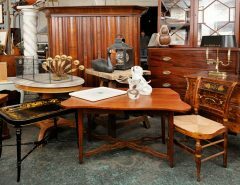 Do you have antique furniture at home? Do you want to give a new life? If you have a piece that reflects the passage of time and needs a little reform, now is the time to get down to work. Do not fear, it’s simpler than you think. 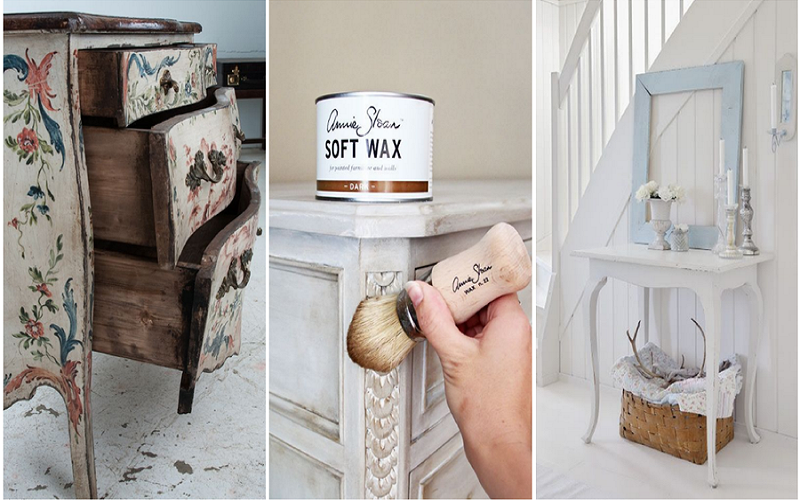 Take note of the steps to restore an old piece of furniture . Why restore an old piece of furniture? Do you already have everything? Then go outside on a day that the weather is nice so you can work more comfortably. The wind and the sun dry up the paint, making the job easier. In addition, when working in the open air we avoid breathing the odors of the products that are usually used. of all it is recommended to clean the furniture in depth with the help of a cloth, water and some neutral soap . Once you have finished, you will have to wait until the furniture has dried completely. For the most difficult spots, use a toothbrush with hard bristles. We must then remove the remains of old paint or varnish. Do it with the help of a paint stripper that you must apply with a brush and a spatula. Make sure you remove all traces of paint and varnish from the entire surface of the furniture. Next, clean the furniture with a rag and a solvent product. Finally, a fine sandpaper passes. If the furniture has small holes , it may be due to woodworm. Therefore, it is best to apply a special treatment against woodworm, covering the holes completely with the help of a brush. The next step will be to cover the furniture with a plastic so that the product takes effect. Leave it like this for at least four days and do not forget to change the plastic every 48 hours. A good trick against shocks is to apply a cloth dampened in water or warm milk. Hold this cloth with a ribbon and leave it for a few hours. After that time, if the blow is not too deep, the furniture will have recovered its original appearance. For scratches and small scratches we can apply some putty or special natural wax to treat scratches and imperfections in the wood. Fill the imperfection with the product and then sand the surface. We can repeat this step as many times as necessary until we achieve camouflage that imperfection. 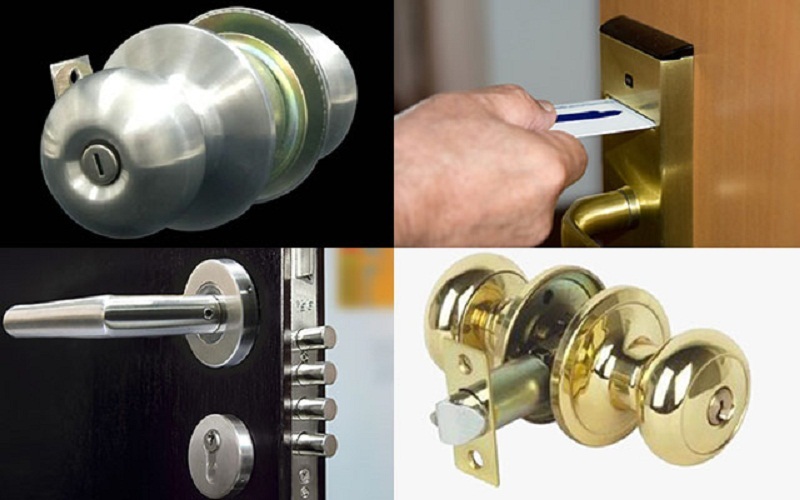 Nor should we forget the locks, doors and drawers. Change the hinges , apply soap on the sides of the drawers if they do not close well and clean the fittings with soap and water. For the locks, brush them with oil and rub them with a brush. And now that we have recovered our old furniture, apply a layer of varnish following the recommendations indicated by the manufacturer on the packaging. Our advice is to let it dry for 24 hours. Then sand the furniture and remove the dust. We can apply a second layer, always following the drawing of the wood. An expert trick to achieve a more professional finish is to apply a layer of colorless wax . The result will be much more natural. As I read somewhere, we must learn to look for the treasure in what others see as garbage. 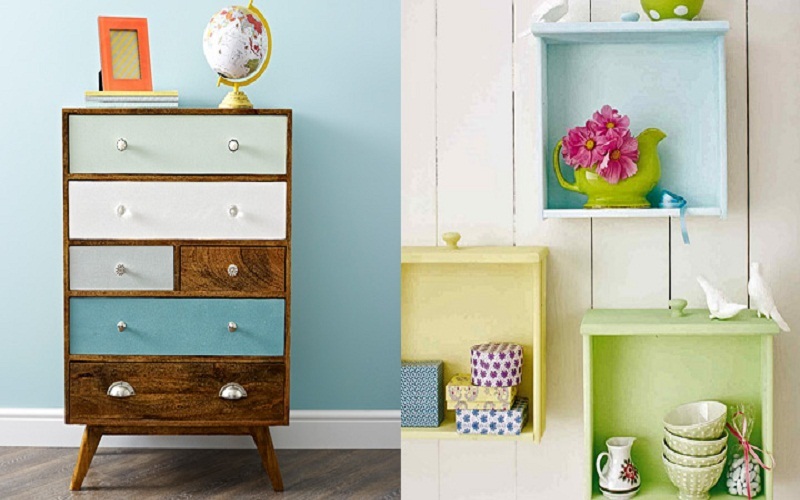 Before throwing away your old furniture, think twice and consider all the virtues it has. The story behind the piece of furniture: The sentimental value of a piece of furniture is invaluable. Believe me that when you have a vintage piece of furniture at home, there is always an anecdote to tell your guests. The artistic value: The baroque style that usually dominated the design and architecture of yesteryear, no doubt is surprising. Now that the minimalist style is so fashionable, and the furniture is produced en maze, a bit of quirky art and design does not hurt. If I had to choose an environment of my house to decorate the vintage style, that would be my room, without any doubt. In this environment, many pieces of furniture are placed, which are key pieces for decoration. The vintage essence is in the objects that have a history in them, so if you have a small table that your grandmother inherited , do not even think about getting rid of it because you can easily restore it with a little paint. 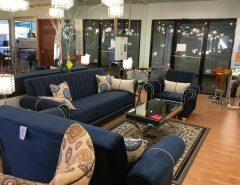 On the other hand, when it comes to used and restored furniture, the details are extremely important. Worry about decorating your vintage coffee table so you do not run the risk of looking “old” instead of classic. As the vintage seeks a harmonious encounter between the modern and the classic, a vase or basket with spheres will be the perfect complement to your restored coffee table. Tags: cases to restore an old piece of furniture, old piece of furniture, restore an old piece of furniture, Why restore an old piece of furniture?